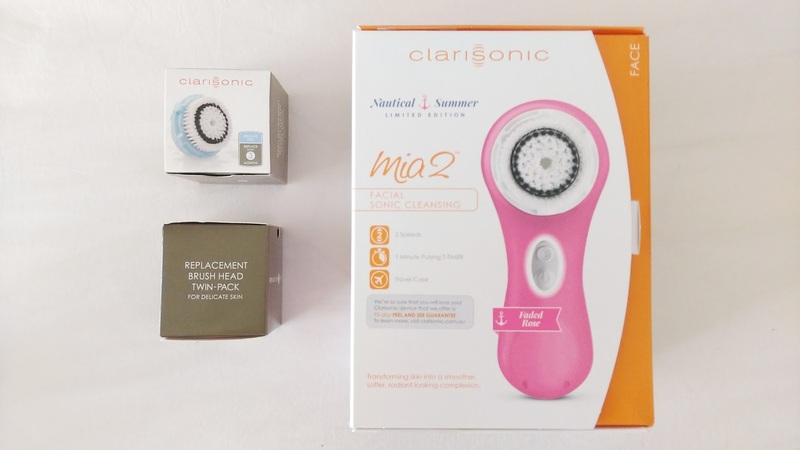 It’s been a LONG time coming but I finally have for you, my review of the Clarisonic Mia 2! (I’d imagine you’d read that in an epic announcer voice…. and it rhymes!). I purchased mine during Boxing Day Sales for $161.50 AUD from $190 AUD. It was a limited edition colour ‘Faded Rose’ which I believe is no longer stocked, on the website at least. Basic colours come in white and pink and there’s limited edition versions in blue and green too! 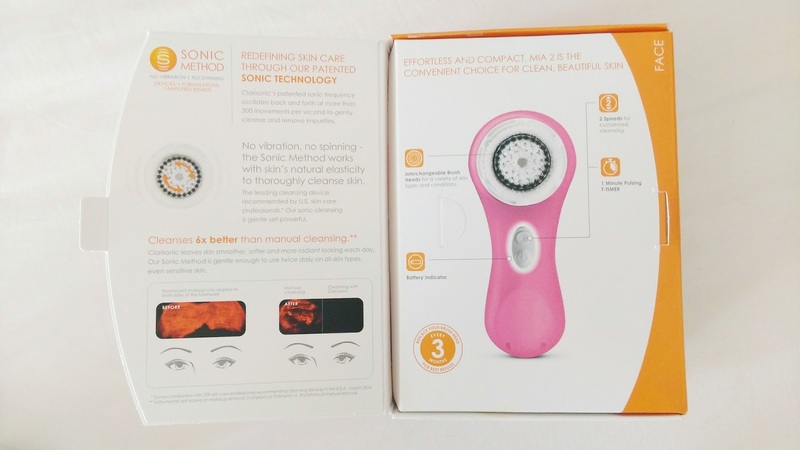 Comes with a sample Clarisonic gel cleanser! You need to change the brush heads every 3 months for optimum performance- the bristles become less effective over time. 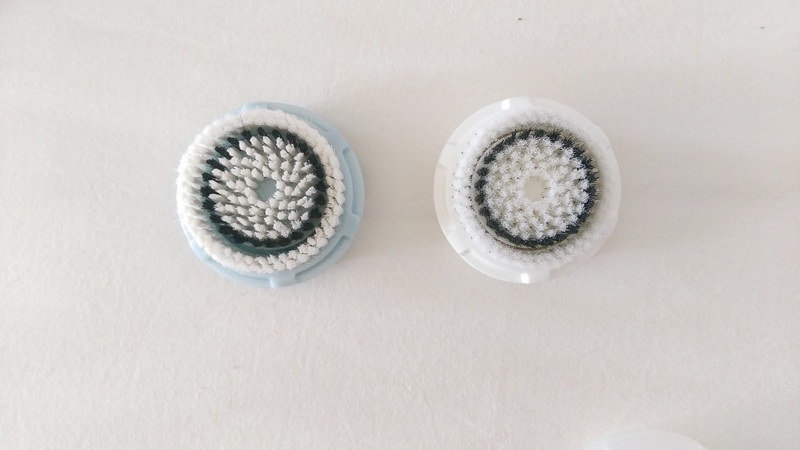 Comparing my old brush head and new one, they look the same but hidden bacteria does form and it had a funny smell…. There are lots to keep in mind when wanting to maximise the life of this skincare investment. 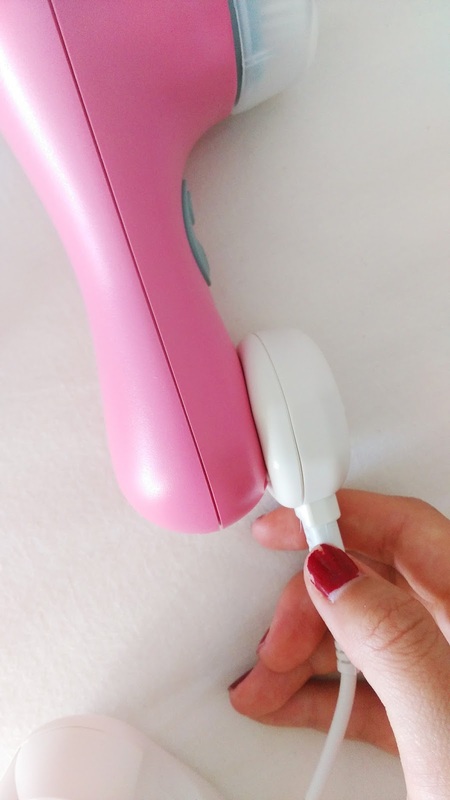 A very common concern is the ‘PURGE’ you experience at the beginning of using the product because your skin is adjusting to the Clarisonic. I didn’t really experience such a purge but then again, I only use it once a day. It happens to a lot of people and really depends on the person and skin type aaaand how you’re using it. 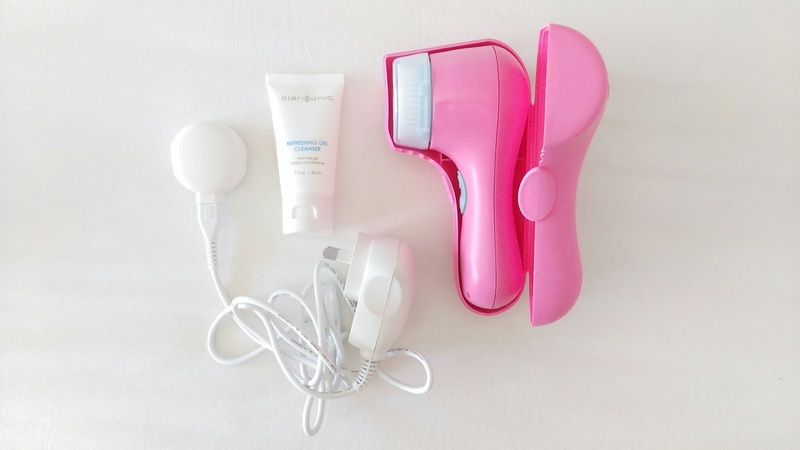 You don’t need to apply additional pressure, let the weight of the Clarisonic do the work. It could also be because you’re using an unsuitable brush. Along with these two sources I’ve linked above, there’s soooo much you can read and watch if you’re considering investing in a Clarisonic. I found over about the course of a month that there was no other skincare product that’s made such a big difference to my skin. I still get hormonal breakouts, my pores are probably going to be forever large but my face is much smoother than it used to be. 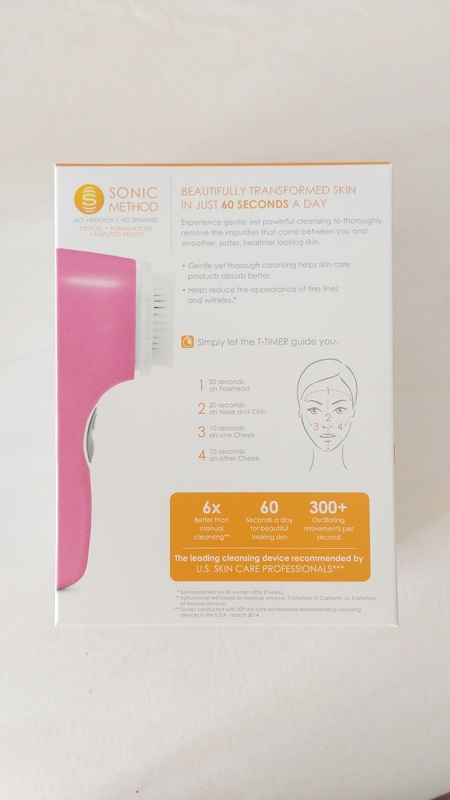 What are your thoughts on the Clarisonic? Great review! 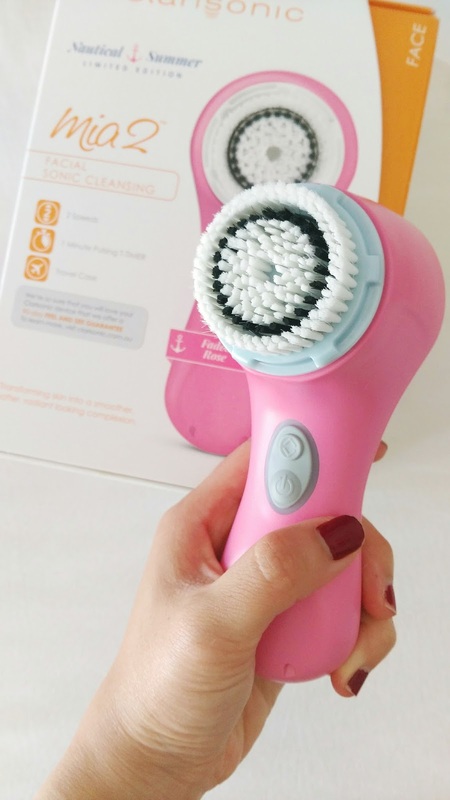 I remember a couple of years ago I reeeeaally wanted a Clarisonic because they were all the rage but I couldn't afford it! I then thought maybe it would be too harsh, but it's good to hear it's gentle enough for daily use and has 2 speeds and sensitive brush heads! I'm actually getting sent a Purasonic so I'm excited to give it a go!Tasha // shiwashiful.